A super penthouse apartment with lovely sea views and views of Gibraltar and Africa on a clear day. Comprising of two bedrooms and two bathrooms, the master bedroom is en suite and has access to the terrace, a fully fitted kitchen and a bright and spacious lounge with a fire place and terrace. 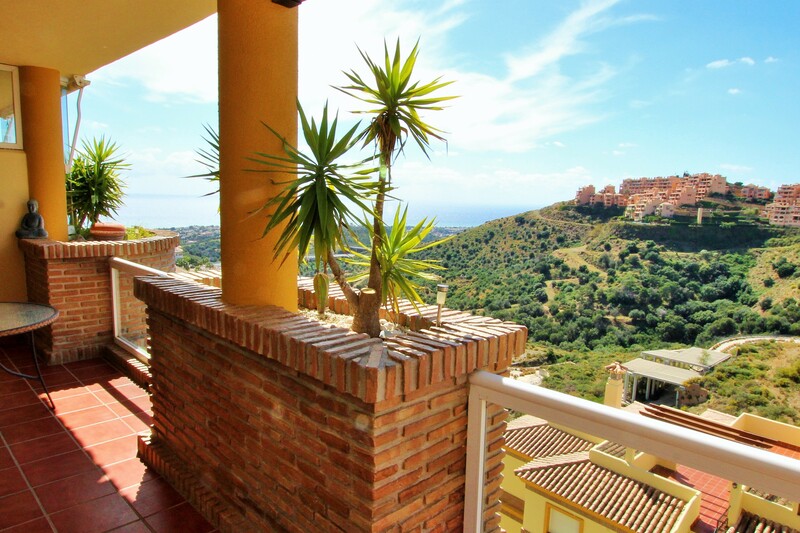 There is an internal staircase which leads up to a huge solarium with a built in barbecue and nice sea and mountain views where there is all day sunshine. This property benefits from double glazing, hot and cold A/C, fitted wardrobes in the bedrooms and is sold fully furnished. Located within a well run gated community with internal and external parking and two pools surrounded by nice gardens. 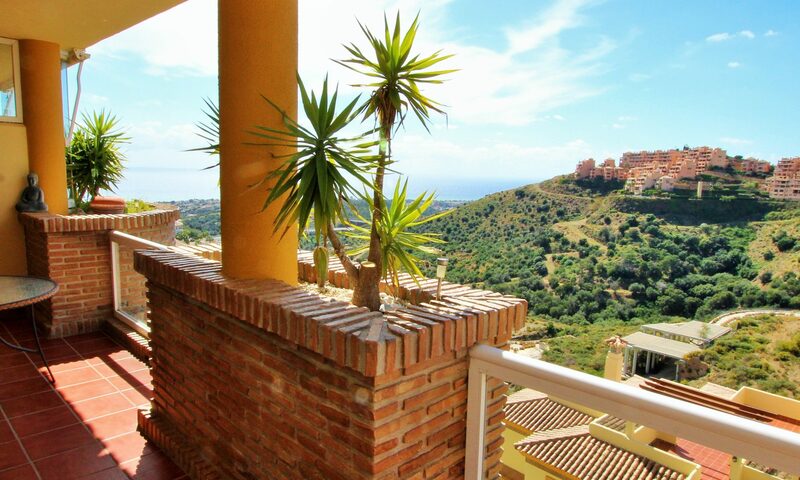 Just a short walk away is ” Miel y Nata” with three restaurants and a bar, the golf club and tennis club are a two minutes drive and the beach and shops are just a five minutes drive. Viewings are highly recommended!